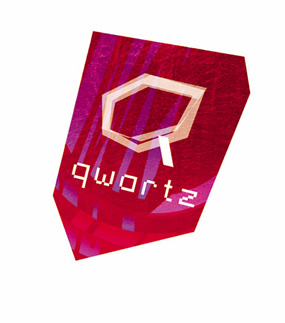 Qwartz 8 | Sound in Process: New Media Arts category rewards innovative works integrating new technologies and media in their own creative process and involving sound creation in particular. Are accepted every artwork dealing, using, expressing and/or processing sonic material and presenting it through innovative and creative media and supports, such as sound art, audiovisual installations and live performances, real-time processing… Sound work published on commercial aids won’t be accepted. Digital works not dealing with sound (or a little) neither. Terms of enrollment: Qwartz 8 is open to works produced after January 1, 2010. Artists, groups and collectives from all over the world are invited to submit their works. Registration is free. Selection criteria: Works are selected according to their artistic interest and their sound and technological aspects. Jury: The names of the jury members and President(e) will be known in September, 2011. Qwartz New Media Arts Award: the Qwartz New Media Arts prize-winner will receive a financial endowment.